Ramping up for Christmas starts many months in advance for makers of ornaments and holiday decorations. 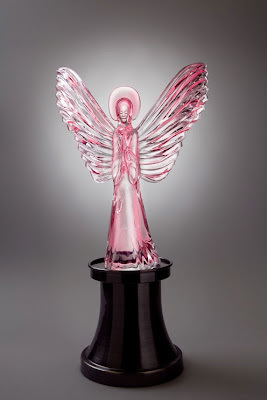 I was hired by Loominocity to photograph their illuminated star and angel tree toppers, and their illuminated candles. The tree toppers look like lead crystal that is lighted from within by powerful LED lights that shift colors. The effect is quite beautiful, but it is also difficult to photograph an item that is reflective, transparent and colored by an internal light source all at the same time. Tricky indeed to get right. View the product gallery.